Before the war, they lived largely happy lives. The fathers worked; their children went to school and played outside. They had enough to eat, they had fun on weekends and they got along with their neighbours even if they were of different religious backgrounds. Now Syrian families who have taken refuge in Lebanon face huge hardships, says Bree Akesson, assistant professor in the Social Work and Social Justice and Community Engagement programs at Wilfrid Laurier University’s Brantford campus. Akesson has been researching Syrian refugee families in northern Lebanon, a project for which she received a grant from the Social Sciences and Humanities Research Council of Canada. What she and her team have found so far has indicated high levels of stress on parents – which is bad news for the whole family. Lebanon is a small country – it takes just a few hours to drive from one end to the other. Yet it’s hosting about 1.5 million refugees. That means one in four residents is a Syrian refugee, says Akesson, adding Lebanon is also hosting many Palestinian refugees. Refugees live in difficult conditions. One of the families Akesson’s team interviewed was one of six families living in a single room in Beirut. Many have been living in tents for five years or longer. The tents are generally placed on farmland where they have to pay rent to the farm owner. “It’s a tent. It has one room, maybe two. It gets really cold in winter and really hot in summer. There aren’t good sanitation systems,” says Akesson. 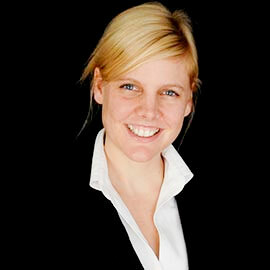 Unemployment is rife – particularly for men, says Akesson. Part of the difficulty is that many Syrians – 60 percent of those over age 15 – are in Lebanon illegally because the documentation to seek refugee status is difficult to obtain. Even those who are officially registered as refugees need a hard-to-get permit to work. The result is that 70 per cent of Syrian families in Lebanon are living under the poverty line, says Akesson. Although Syrian fathers generally accept that their families have to do whatever is necessary to survive, the situation is particularly hard on them, says Akesson. Although there are families where “the father rules the house with an iron fist,” many fathers are stepping up and taking on a greater role in childrearing and looking after the household, says Akesson, who has seen many examples of the deep love fathers demonstrate for their children. Nonetheless, it’s not a straightforward reversal of traditional roles. Although Akesson and her team are still analyzing their interviews of nearly 50 Syrian refugee families, a preliminary finding is that fathers and mothers react differently to the stress of parenting as a refugee. Akesson and her team didn’t just interview families; they also gave them activity trackers to log where they went and spent their time. They found many families lived in an extremely geographically restricted environment. Families are afraid to leave their homes because of the hostility some Lebanese, including police and army officials, have shown towards Syrian refugees. But the very legitimate fear of harassment and even attack isn’t the only reason Syrian families’ worlds have shrunk, says Akesson. Keeping their children inside may be in part a reaction to the lack of control refugees have over their lives. It’s not a tactic anyone thinks is ideal, says Akesson. Some fathers have left for destinations such as Europe, to better provide for their families or to escape dangers such as the threat of conscription into the Syrian army. Others haven’t been able to cope with the challenges – in one family Akesson’s team interviewed, the father had died by suicide due to the stress of being unemployed. Most parents are surviving and doing the best they can for their children in a difficult situation where the ultimate solution would be to end the conflict in Syria. Failing that, however, there are things the international community could do to improve matters for refugees, says Akesson. One is to help parents, including those resettled in third countries such as Canada, develop their social-support networks. Extended family in particular is very important, though the Canadian government concentrates on nuclear families, says Akesson. Refugee support organizations should focus more on the emotional health of parents, not just children. Also, given the current situation, direct economic assistance such as cash transfers and food may be necessary in the short term, says Akesson.